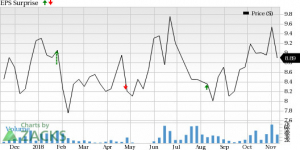 Chicago, IL – February 11, 2019 - Stocks in this week’s article are Athene Holding Ltd. ATH, MyoKardia, Inc. MYOK and Euronav NV (EURN. Is a Surprise Coming for Euronav (EURN) This Earnings Season? Will Geopolitics Dampen Copa Holdings' (CPA) Q2 Earnings?